Every ardent lover of something – art, sports, literature, film – has his or her favorites. They form an immediate affinity that lasts from first sight to years, decades…forever. But then there are some artists, sports figures, novelists and actors or actresses who remain aloof, remote. They may be beautiful and talented but for some reason they never click with a particular audience member. This was my relationship with the beautiful and talented Emily Blunt…until the film LOOPER (2012). I’d seen Emily several times before in movies like The Adjustment Bureau (2011) with Matt Damon, Sunshine Cleaning (2008) with Amy Adams and The Devil Wears Prada (2006). And each time I just didn’t get it. Her, I mean. What was the appeal? What was I missing that everyone else could see as plain as day? What was her appeal? Then I saw Looper. By any reasonable estimation, Looper is a great Sci-Fi movie, flawed but with an amazing structure and narrative that demands repeated viewings to fully-appreciate. The first time I saw it, I was just trying to keep up. Until the character of Sara appeared on screen. I was blown away by the willful, strong and lonely single mother who lives in a farmhouse with her young son. I looked into Sara’s blue eyes (which the filmmaker wisely holds in close-up several times in slow-motion) and fell into a deep trance. Who was this amazing woman portraying such a strong yet vulnerable character? At first, I didn’t recognize the actress after going into the darkened movie theater and her glowing presence caught me completely off-guard. Then I realized it was Emily Blunt, the actress I had heretofore never been able to form any kind of meaningful attachment to. The one actress that had gotten away suddenly became my biggest silver screen crush. She was so magnetic, so heartfelt and raw in her emotions that I could not believe it was the same young woman I had seen before, albeit in roles that left me wanting. Emily was the heart and soul of Looper, the same way every great actress, given the room and screen time to grow and embody a fully-rendered character does. I just fell for her the same way I had fallen for other actresses at first sight…a delayed crush that left me speechless and wanting to see her again as soon as humanly possible. 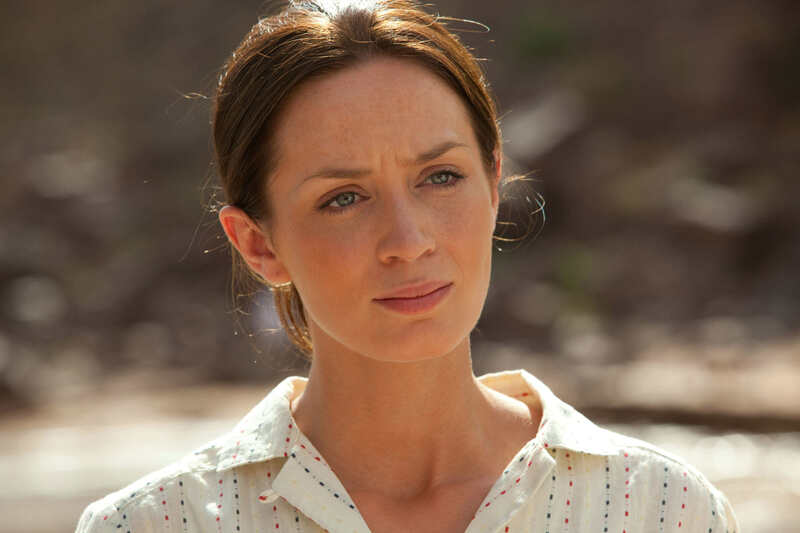 I’ve seen Emily since in Looper and am still swept up in how wonderful she is in that role of Sara. I see in her eyes the soul of a woman who fears she will lose everything if she doesn’t protect herself and her son from a stranger she is attracted to. And I remember what it felt like being the stranger attracted to such a powerful performance – one in which the actress had completely lost herself in only to realize her beauty and talent for the first time. That is lightning in a bottle when it happens and something that true film-lovers appreciate about their favorite actresses in the role that was made for them. That was me with Emily as Sara. And now I know what everyone else was seeing in the beautiful Emily Blunt then I couldn’t. And now, like them – I’m a true believer. Emily is wonderful in that movie too!